After all the preparation in the months and weeks leading up to your wedding day, let’s not forget the all important planning of the most romantic holiday of your life. The honeymoon is a second celebration of your marriage, a blissful few weeks to enjoy being together away from the every day hustle and bustle, preferably in a paradise you’ll never want to leave. 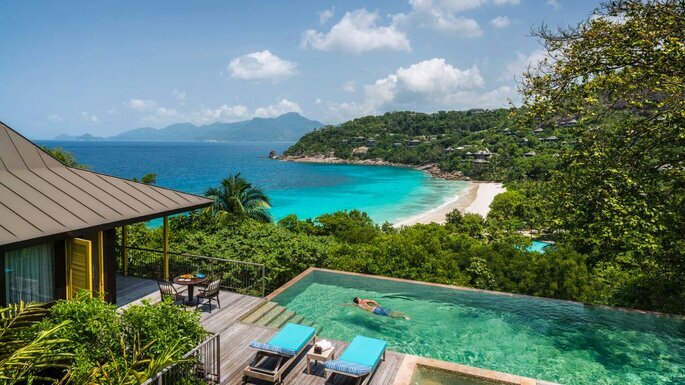 One of the most idyllic settings imaginable is the Seychelles – take a look at our suggestions for the hottest honeymoon hotels it has to offer, there’s something to suit every couple and start your happily ever after as you mean to go on. 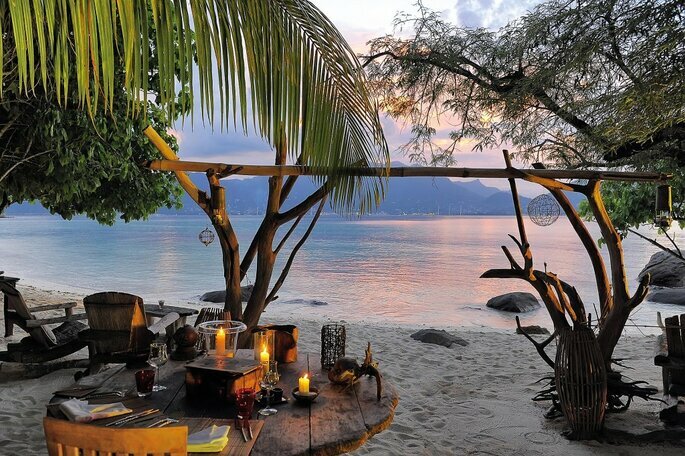 The Seychelles is the name for an archipelago of 115 beautiful islands in the heart of the Indian Ocean. All the islands are splendid in their own right, each more exotic than the last, yet they share a common denominator: lush tropical vegetation lined by white sandy beaches running down to crystal clear water in shades from emerald green to dark blue. Kempinski Seychelles Resort is proud to offer an excellent setting – whether in private for just the two of you or a public gathering to share your moments with your friends, family and loved ones on a larger scale for up to 180 persons. Be it an intimate ceremony, a glamorous gala or a casual get together, they’ll be happy to assist you in fulfilling your dream honeymoon or wedding. Few destinations shout nature whilst taking luxury to a whole new level the way this stunning resort does. 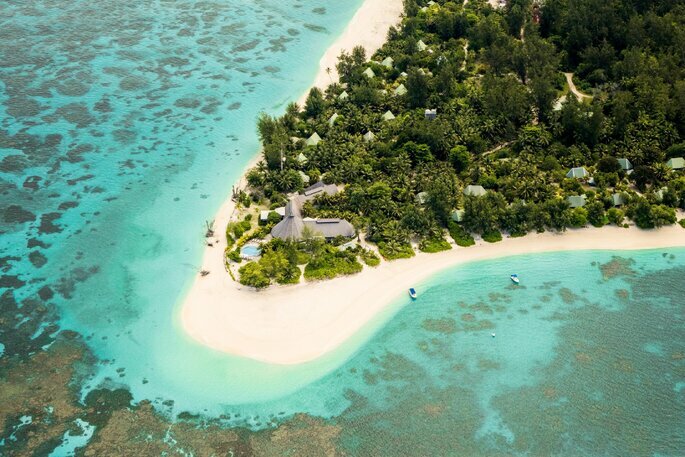 Stay in your spacious villa offering total privacy set on a 220-hectare private island, surrounded by one of the largest marine parks in the Indian Ocean. There’s also a heavenly Spa by Clarins to chill in. The resort blends seamlessly with nature. It really is a wondrous botanical haven of natural flora and fauna, allowing you to explore and discover a stunning underwater world with innumerable fish species and spectacular coral, a traditional nesting ground for sea turtles. All in the blissful surroundings of botanical species such as bougainvilleas, frangipane trees and sea coconuts in their natural habitat. This truly is an exquisite luxury resort in glorious surroundings of lush palms, tropical forests and one of the longest private beaches around. Situated on one of the mainland’s highest peaks giving you 360 degree panoramic views of the untouched, unspoiled beauty of the Seychelles. From the privacy of your Creole style villa you can spot dolphins frolicking along the shoreline and soak up the charm in this sanctuary of the senses by taking a dip in your private pool surrounded by native Takamaka trees and bulbul birds. Set in the heart of a lost Eden, Four Seasons Resort Seychelles offers guests an unrivalled luxury hotel experience in a natural jungle setting. It ticks all the boxes, Tree-top villas, deserted beaches and world-class service all converge to challenge your notion of paradise. Everything looks so perfect it’s as if it’s the most vivid dream. This chicer than chic retreat come with a hefty dose of glamour in true Four Seasons style making this a honeymoon as close as it gets to utopia. For the more style conscious amongst us, Le Domaine de l’Orangeraie is absolutely the place to be. 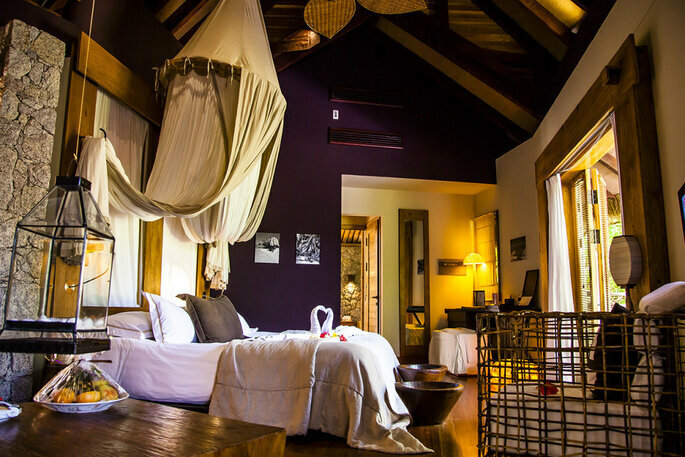 Based on La Digue island, this resort featuring treehouse villas seamlessly combines nature inspired architecture and rustic decor with contemporary styles. This has the effects of making guests feel homely yet at one with nature, something which carries through into the overall experience the resort offers. Take in a drink whilst overlooking the lagoon, go snorkelling at the coral reef, or bathe in the glow of the sun as it sets against the ocean and mountains beyond. However you choose to spend your time at l’Orangeraie, one thing is for sure, you’ll leave here feeling replenished by the bliss you’re surrounded by. 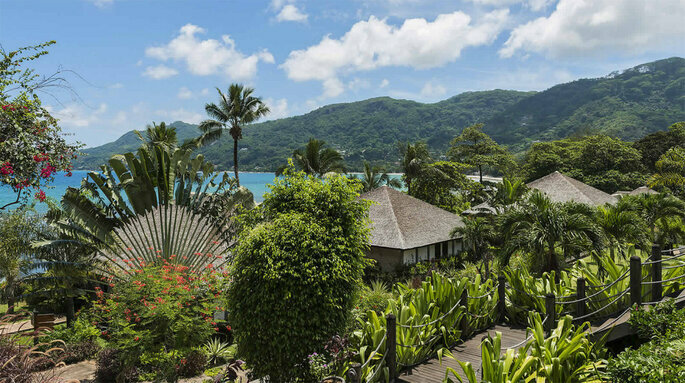 The H Resort Beau Vallon Beach Seychelles was founded on pillars of preserving and celebrating heritage, inspiring a feeling of home through a sense of soothing harmony and heartfelt expression. It’s what makes them stand out. This combination of values makes the way they deliver their contemporary luxury stays and gracious hospitality, unique. Guests arrive at the traditional homely resort as strangers, but leave this exotic retreat as family. 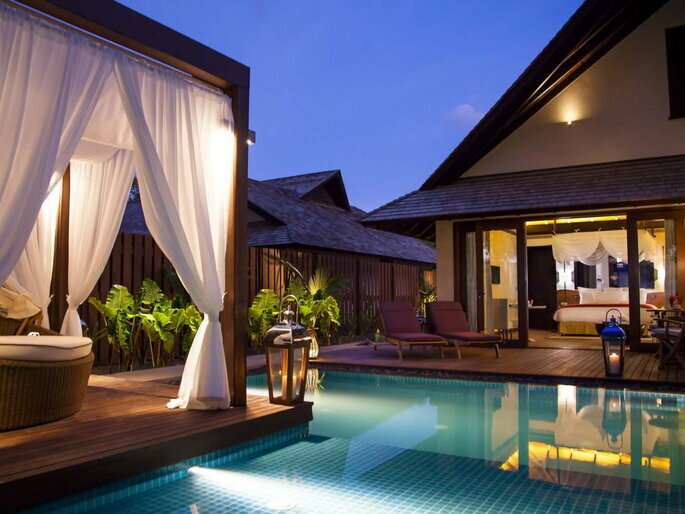 The H Resort is where cherished comfort meets romantic tropical lustre. Denis Island is the ultimate getaway, a private coral island surrounded by breathtaking coconut palms, coral reefs white sand beaches and topaz waters. Perfect for couples seeking splendid isolation, the island hosts just 25 individual rustic chic cottages all of which are discretely placed with the veranda tucked out of sight of neighbours. Many are positioned right on the beach, and include a private sea-facing deck, spa pavilion. Whether savouring the renowned culinary delights, exploring the idyllic island by bicycle, bathing in the calm topaz waters or lounging on the white sand beaches, a romantic and opulent setting is guaranteed at this lush resort. 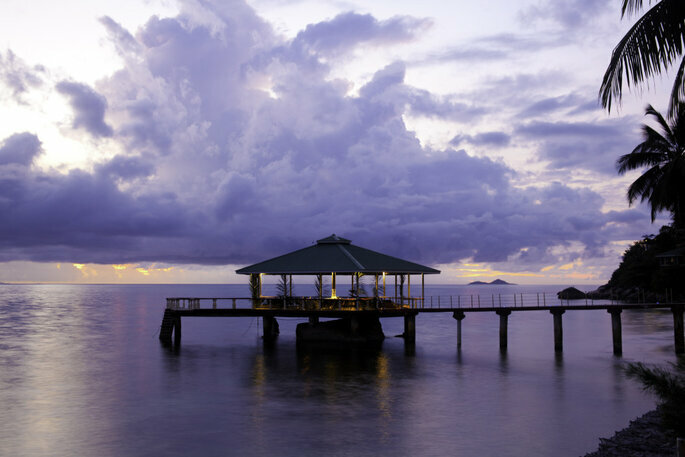 Le Méridien Fisherman’s Cove sits at the western tip of the famous and picturesque ivory sands of the Beau-Vallon beach. 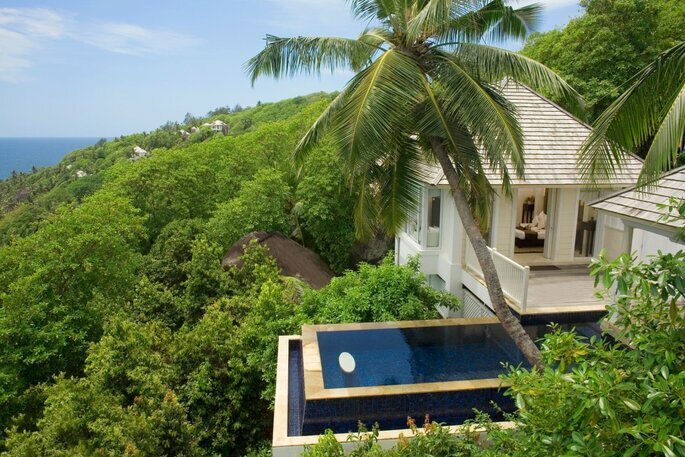 That and the cove’s lush gardens make for an idyllic setting for a relaxing escape. If adventure is more your thing, instead of time at the spa or lounging on the beach you could opt for one of the many water sport activities. For foodies, there are a number of excellent choices centred around their passion for Creole cuisine, but dining at the pontoon gazebo overlooking the crystal clear water is not to be missed; the opulent tropical atmosphere really sums up the paradise on offer here. Coco de Mer is a beautiful serene hotel with picture perfect views of the surrounding islands and forested mountainsides. The exclusive Black Parrot Suites, set away from the main hotel on an outcrop, offer stunning views across the water complete with a private lounge, bar and pool. So if you’re looking to celebrate with the one you love in total luxury nothing says romance like this place. Now all you need to do is get packing and prepare yourself for the holiday of a lifetime! Check out our selection of the most weird and wonderful hotels in the world for your honeymoon!